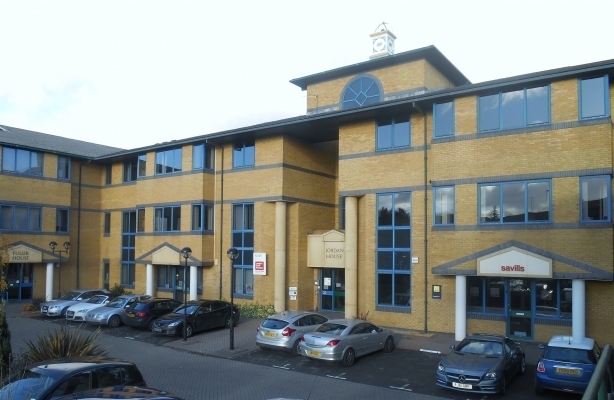 The property offers self-contained office space within a unique and distinctive four-storey building, which is currently being refurbished to provide modern office suites with a generous car parking provision. The impressive Pagoda style structure includes original building materials from Taiwan. The offices, which are being completed to a high specification, are arranged over the first and second floors of the building, with a large communal reception area on the ground floor and additional storage space on the third floor. The upper levels are accessed via both an internal staircase and a passenger lift. Shared WC facilities are provided within the communal areas of the stairwell. The offices benefit from suspended ceilings incorporating fluorescent lighting and air conditioning units, gas central heating, raised and carpeted floors, and 24 hour on site security. 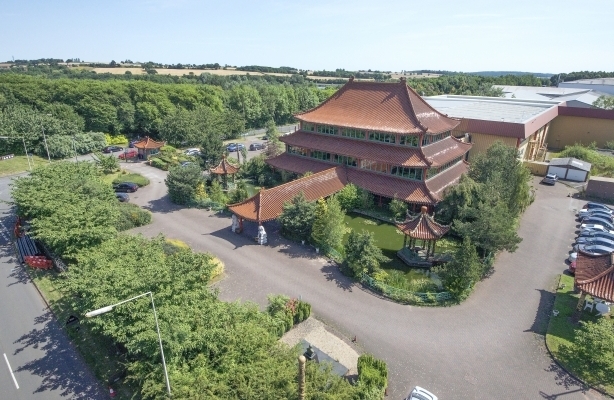 Outside, the building is set in an attractive landscaped setting with feature pond at the entrance and a substantial car parking allocation to the front and side. 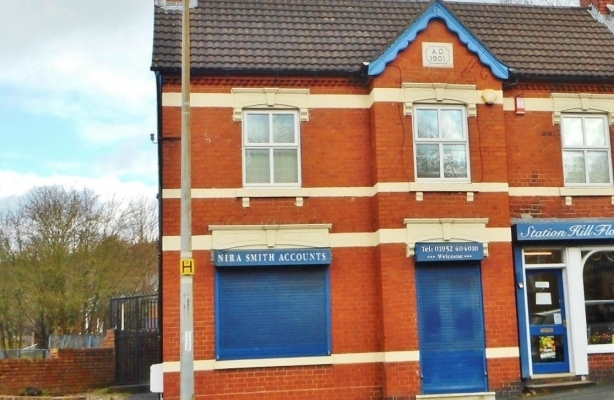 The property comprises first floor office accommodation within a larger industrial building. 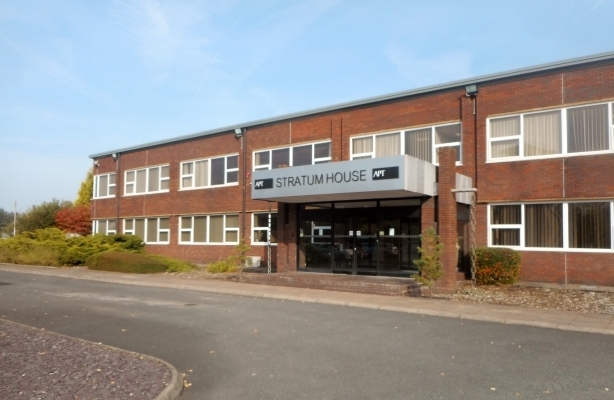 The offices are self-contained, having an independent access and reception area on the ground floor. They provide a light and airy environment with large surrounding windows and a pleasant outlook. Internally the accommodation is arranged to provide partitioned offices, together with a general office/meeting room, kitchenette and WC facilities. The current layout could easily be adapted to suit individual requirements, such as creating a single open plan office with separate facilities. The offices benefit from suspended ceilings incorporating fluorescent lighting, gas central heating, air conditioning and communication ports throughout. 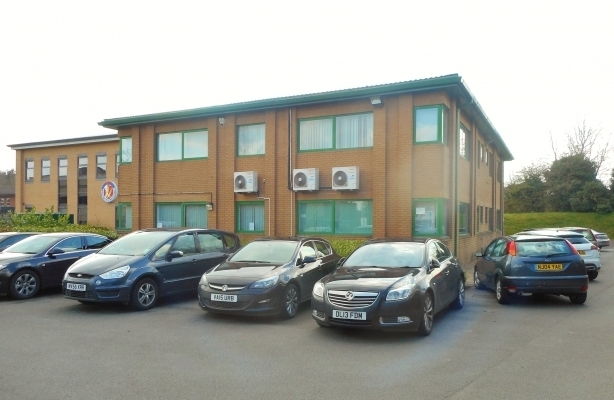 Outside, the property enjoys a generous car parking allocation in the shared car park to the front of the building. 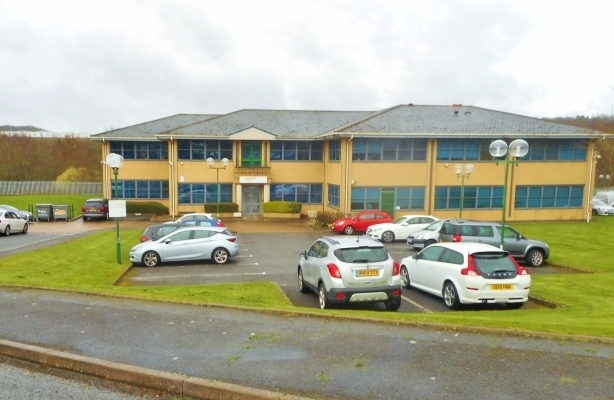 The property comprises a detached, bespoke two-storey office building constructed circa 1992 providing office accommodation on ground and first floor levels linked by a central staircase and common area. The building is of conventional construction based on a steel frame with block-work walls and an outer cavity brick skin beneath an insulated steel profile roof. It is fitted with aluminium double glazed windows units throughout. Internally, each floor has been divided by full height plasterboard partitioning to provide a series of offices. 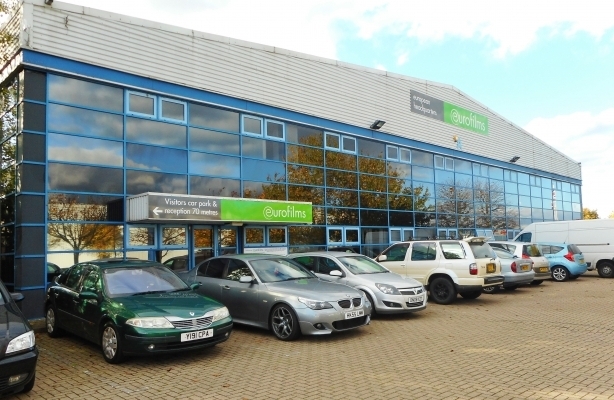 The offices have been fitted to a quality specification including suspended ceilings, air-conditioning, carpeting and recessed fluorescent lighting. The accommodation also benefits from gas central heating and a small kitchen to each floor, as well as ladies and gent's and disabled WC facilities. 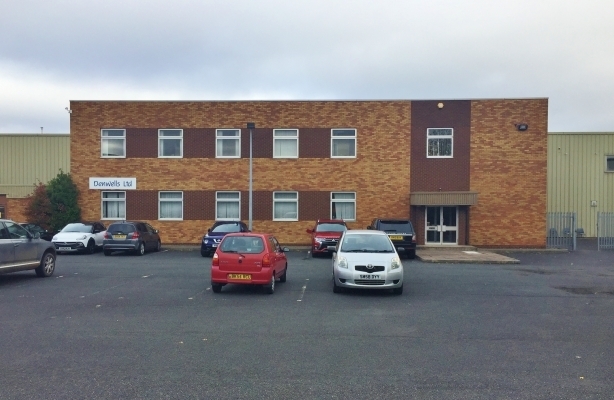 Outside there is a secure tarmacadam car park to the front and side of the building with space for approximately 30 cars set within a landscaped boundary. 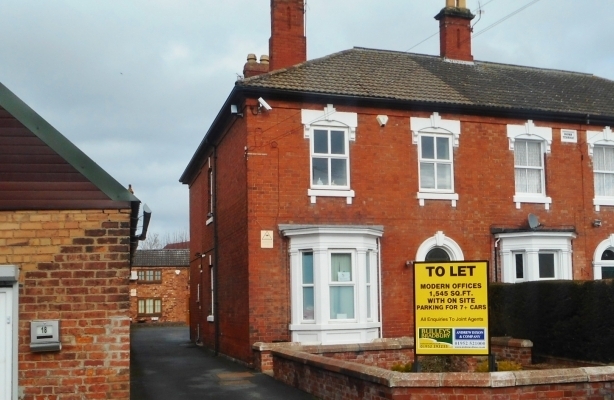 The property comprises a modern self-contained, two-storey office building with brick elevations beneath a pitched, tiled roof. The offices are accessed through a ground floor reception area into a core, to include WC facilities on each floor, a passenger lift and a stairwell. Each floor has been partitioned to create a series of meeting rooms with a larger open plan area on the first floor. There are kitchen areas throughout the building and security shutters have been fitted to the ground floor fenestration. The building is also part air-conditioned. Outside, there is a tarmacadam car park to the front of the building, together with further parking area, providing a total of 30 car parking spaces. 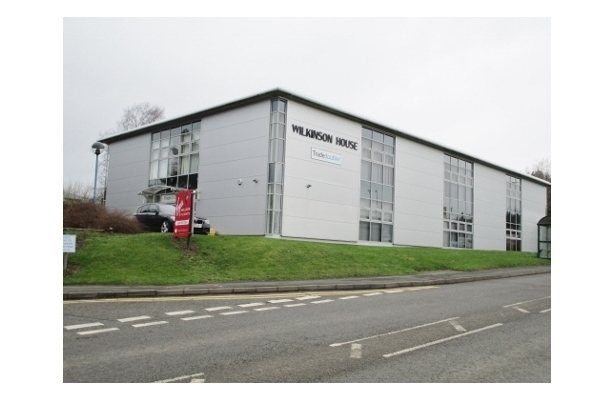 Wilkinson House provides extensive, contemporary office accommodation arranged over two floors and containing open plan office suites fitted to a very high standard. The refurbished accommodation benefits from suspended ceilings with inset lighting, combined heating/comfort cooling, fitted carpets throughout and fitted blinds to the windows. The building also provides separate kitchen and WC facilities on each floor, together with a passenger lift in the entrance hallway, making Wilkinson House suitable for a variety of office purposes. 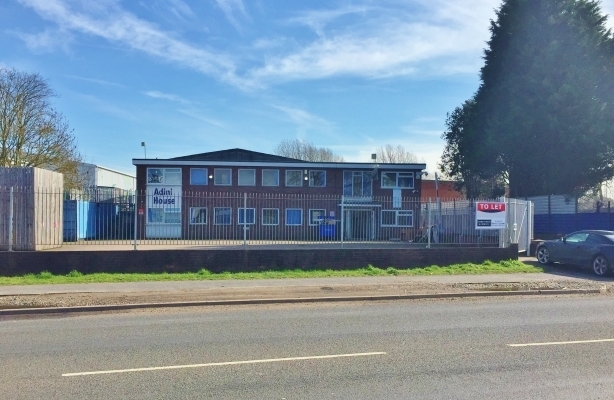 Occupying a desirable location, Wilkinson House enjoys an open outlook to the front of the premises with parking for 59 vehicles to the front and rear. 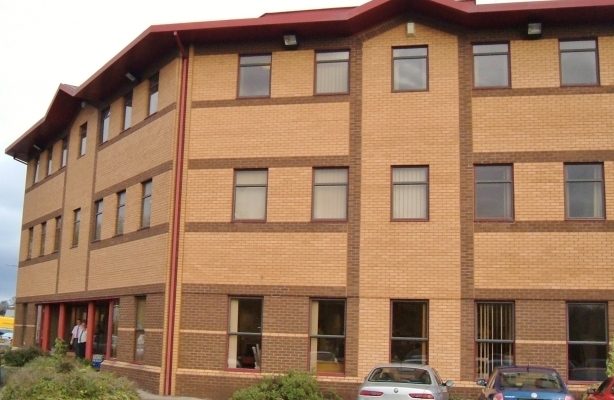 Partnership House comprises a substantial detached three-storey office building, which was constructed in 1992/1993. The ground floor demise is C-shaped in configuration, having a shared central entrance hall/reception and core on the southern elevation (overlooking the town centre) and a fire escape staircase at the end of the wing. The specification of the building includes two 10-person passenger lifts, recessed underfloor and perimeter trunking, floor loadings of 120lb psf, anti-sun double glazing, gas fired central heating, and suspended ceilings with recessed lighting. The ground floor suite is carpeted throughout and benefits from an air handling systems. 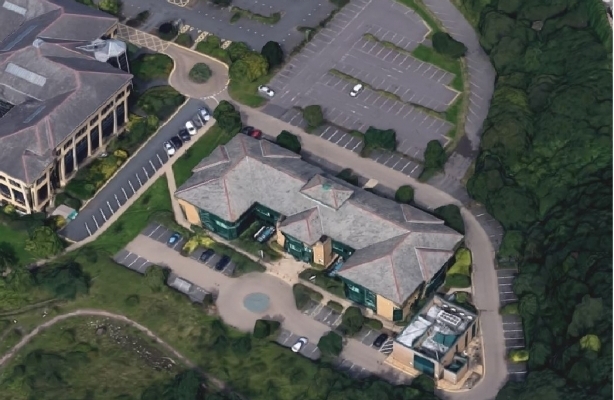 Externally, Partnership House is approached from a mini-roundabout to the northwest corner and is surrounded by a landscaped car park providing. The ground floor suite is demised 33 car parking spaces. The property comprises a modern, two-storey office building, which was was built around 1986 of steel frame construction with metal and glass clad elevations beneath a metal clad roof. There are two pedestrian access points. 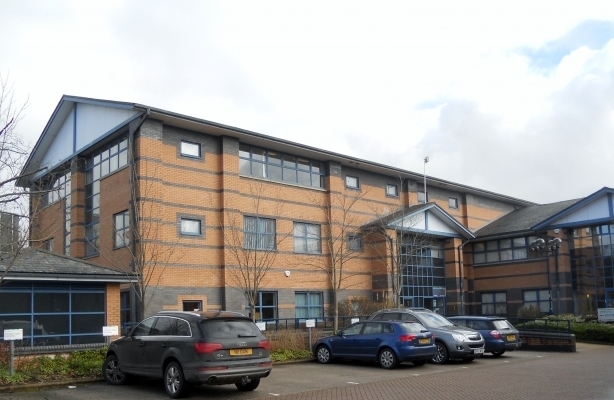 The building was refurbished in 2003 and offers a modern flexible working environment in an excellent location. 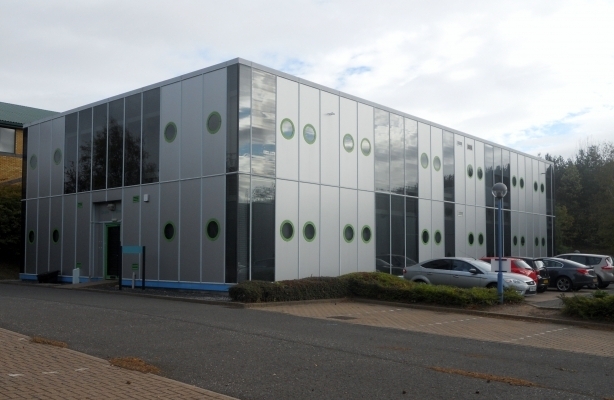 Each floor provides self-contained office accommodation with kitchen and WC facilities, being fitted out to a good specification with gas fired central heating, suspended ceilings and integral fluorescent lighting. Outside, Denby House stands on a site of approximately 0.385 acres, including private car parking for 37 vehicles. The first floor is currently available with demised car parking. The property forms part of an attractive terraced courtyard of purpose-built office buildings constructed of brick and glass clad walls beneath a pitched slate roof. Unit 1 is a self-contained office block arranged on ground, first and second floors, accessed from a central core with WC facilities on each level and a passenger lift. The modern office suites are fully carpeted and benefit from perimeter and floor box trunking, electric storage heaters and lighting throughout. The available accommodation is located on the ground and first floors of the building, with the second floor recently let. The remaining suites can be taken on a floor by floor basis, or as a single demise. Outside, there are 20 car parking spaces allocated to Unit 1.